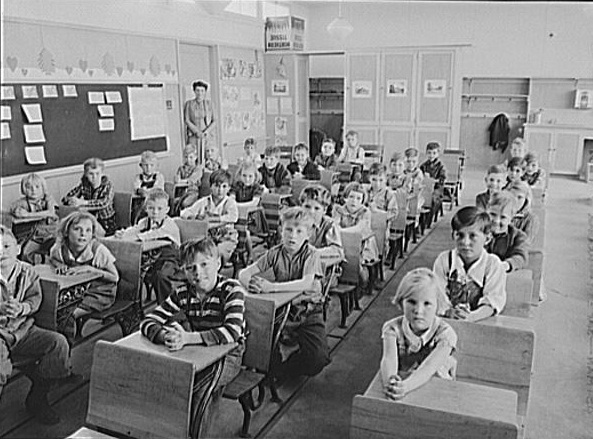 Schoolchildren at the Farm Security Administration Farm Workers Community. Eleven Mile Corner, Arizona. February, 1942. Photo by Russell Lee.